Modulight launches a product family for photodynamic therapy - Modulight, Inc. Modulight launches a product family for photodynamic therapy - Modulight, Inc.
Tampere, Finland – Nov 14th 2013 – Modulight, Inc., an ISO13485 certified laser manufacturer based in Tampere, Finland and San Jose CA, announced today a release of an entire light source product family for photodynamic therapy (PDT) illumination. The PDT treatment is based on combination of a photosensitive drug and a laser source that is used to activate a drug in a treated part of a human body. PDT is widely researched and used to treat various cancers, removing bacteria and inflammations, and also to healing various skin diseases. 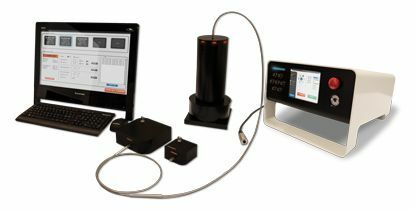 Figure 1: Modulight’s PDT product family consists of light sources based on two standard laser platforms ML6700-PDT and ML7710-PDT, easy-to-use PC user interface, and illumination kit for microplate illumination. Following the recent release of the multi-channel turnkey PDT laser system platform ML7710-PDT, Modulight now completes the PDT product offering to support all needs from early phase R&D to clinical studies and eventual product launch. The product family supports all common PDT wavelengths and offers scalable standard platform solutions from a single compact PC controlled PDT laser modules based on ML6700-PDT (1-3W) to multichannel and multi-wavelength turnkey solutions based on ML7710-PDT (max power 5W, up to 7 channels). Specifically for the PDT research Modulight introduces an illumination kit for parallel illumination of any photosensitive samples or drug screening on standard microplates. Combined with Modulight’s PDT laser sources, this kit completes the most versatile PDT R&D kit in the market supporting all major PDT wavelengths between (630nm-760nm) and required power levels for even simultaneous multi-wavelength operation. Separate sample stations are available for rectangular 85×125 mm multi-sample microplates and up to 95 mm diameter petri dishes. “Modulight has supplied products to photodynamic therapy application already over 10 years. Starting form supplying our high power red laser components for PDT use we now are offering complete turnkey OEM solutions to leading PDT product companies globally. This typically involves design of the entire laser illumination solution from prototypes to regulatory approvals and eventual manufacturing, combined with after sales installation, training and field services to our customers. As the only ISO13485 certified original laser manufacturer out there in the market we can offer by far the fastest and most cost efficient route to market to any company offering or planning to launch a PDT product. Having the required certifications in place allows us to offer the complete package of product control, manufacturing and release of OEM products to the market on behalf of our customers”, says Dr. Petteri Uusimaa, President&CEO of Modulight, Inc.
“We are proud to complete our PDT product offering today with the whole family of light sources from low power single wavelength laser modules ML6700-PDT used typically in early phase R&D to complete multi-channel turnkey laser system ML7710-PDT having integrated graphical user interface and automated multi-channel dose calibration functionality. We are already supporting the PDT research with our laser sources and can now also help our research partners with a versatile PDT illumination kit specifically designed for easy parallel illumination of photosensitive samples in R&D. With all this effort we have put to this Modulight PDT product family we try to simply support easy and user friendly way to advance wider use of photodynamic therapy that has lately had increasing interest in treating cancers, removing bacteria and inflammations, and also healing different dermatological diseases. As a laser manufacturers we offer our expertise to make sure that the further development of this treatment method is not hindered by availability of standardized, flexible, and repeatable light source solutions that has been limiting the wider use earlier and also made unified R&D efforts challenging”, Dr. Petteri Uusimaa, President&CEO of Modulight, Inc. points out. 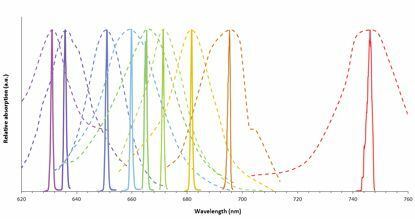 Figure 2: Modulight’s PDT laser product family supports all common photosensitizer wavelengths from 630nm to 760nm.